i once read a blog post where the author discussed how she's the kind of person whose emotional reaction to a wide variety of situations is to cry. she said that God just "planted her close to the water". i loved that so much, and it's always stuck with me because here's the thing- God didn't plant me close to the water. He planted me in it. i'm a lily pad, people. in fact, our friendship started because of my crying. we met the day we moved into our freshman dorm; my parents dropped me off and i spent at least an hour in my room by myself crying when i finally plucked up the courage to go across the hall and meet some people- and luckily, God put meredith there to heal my home sick heart for me, and we've been best friends ever since. she's seen me cry over anything and everything- a good dessert, a bad run-in with a professor, boyfriend troubles, money problems, dryer sheet commercials, a great pair of shoes that happen to be on sale. i practically went through an entire box of tissues when she asked me to be her maid of honor- and i couldn't even get through my toast at her wedding, although she was probably the one person who could understand what i was saying through my tears (think that scene in friends when rachel is moving out. that's us). 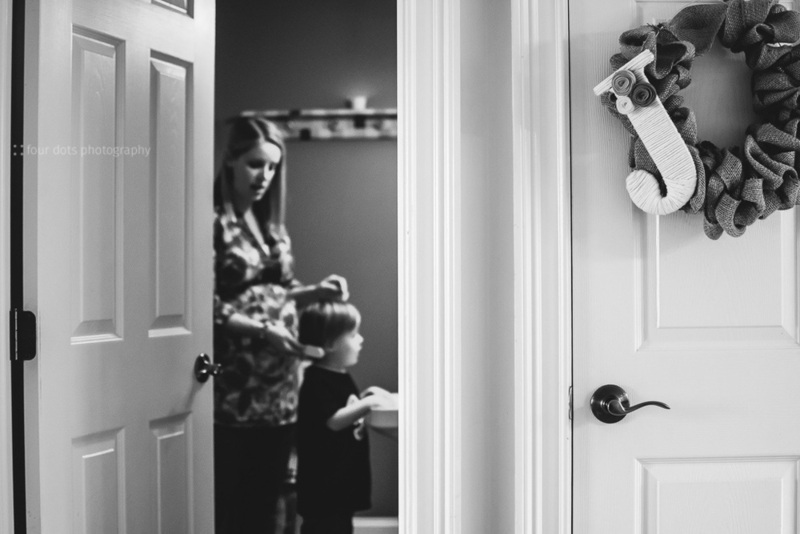 her quickly growing bump, getting the nursery ready, their gender reveal party, moments with their first born, her baby sprinkle- we did our best to catch as many moments as we could as they prepared their home and hearts to welcome this new bundle, and i cried through it all. sometimes, i was good at hiding it; when we did their announcement pictures with their son in a superhero cape, i was able to put my sunglasses on whenever the tears started flowing. 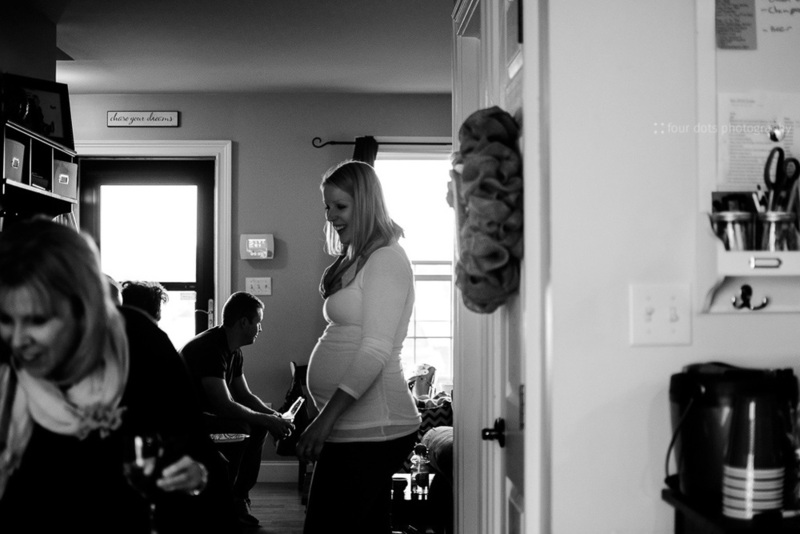 other times, like their gender reveal party when they found out they were expecting a girl, i was not so subtle and cried right along with my friend and her family, wiping my tears on my sleeve in between shots. anytime i would sit down at the computer to edit her photos or share them with everyone, i would have to bring my tissue box along and make sure i had taken my make up off before getting to work. sometimes, on a random tuesday, i would start crying just thinking of all the joy they had headed their way. and then, after much waiting and expectation (and 10 days past this stubborn little one's due date), the time finally came for her arrival. when they had their son, he arrived about an hour after mom's water broke, so when i got a text at 2:45 am that her water had broken, i jumped out of bed and was out the door in less than 15 minutes to make the 45 minute drive to the hospital. when i arrived, she was in the trenches of labor. contractions were coming back to back (to back) with little time to rest in between. my friend, who is no stranger to pain, was handling it with total grace and calm, even through her exhaustion. 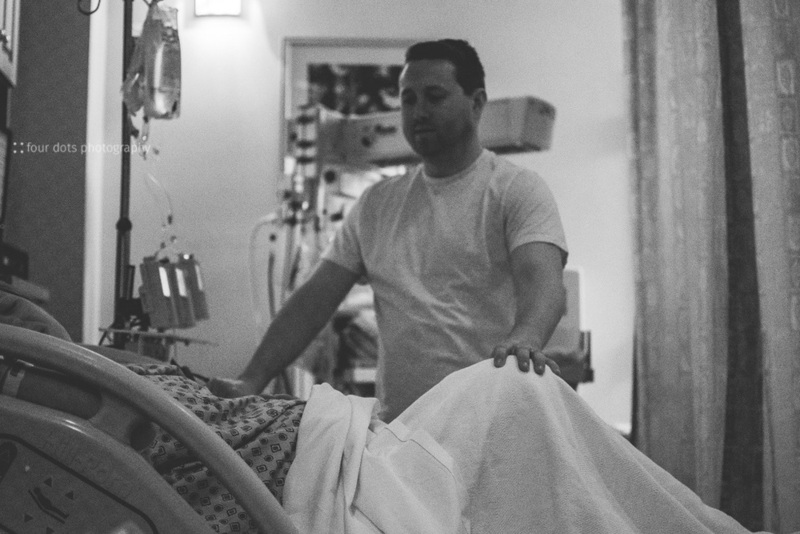 her husband was there through every contraction, holding her hand, encouraging her and reminding her of the blessing to come. it was amazing to look on as these two people who i love so much worked together to bring their sweet girl into the world. it was hard to know the pain my friend was in but have no way to help her except to offer encouraging words in a calm, strong voice. 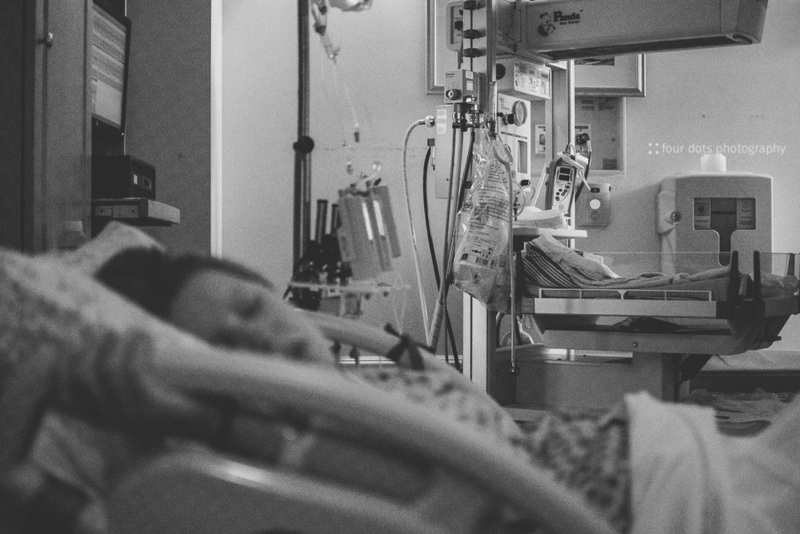 it was hard to watch her husband watching her; i could see that even through his love and admiration of her strength and endurance for their baby, all he wanted was to take her pain away. in between getting up to shoot, i would also take deep breaths, and remind myself that now was not the time for tears. 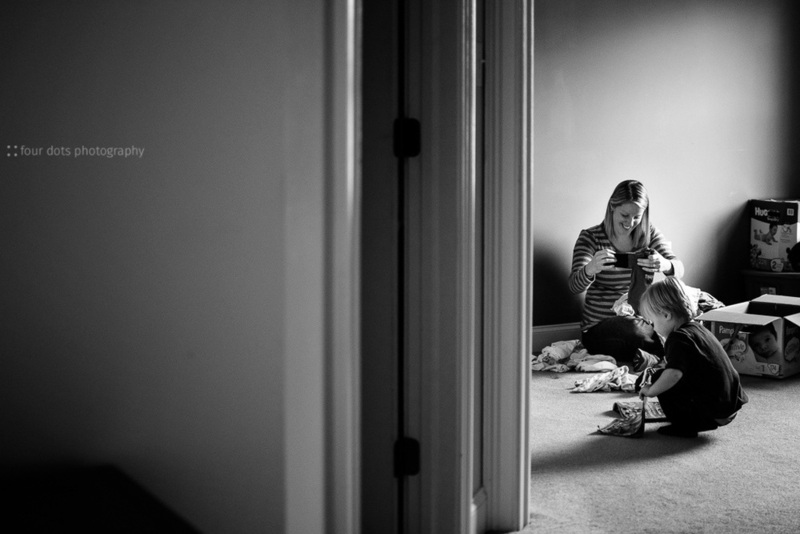 now was the time to watch and document and make sure i create images to help these two remember how incredible they were together on the day their daughter was born. and so i watched and clicked and prayed as my beautiful friend tried to rest between contractions that just kept coming. 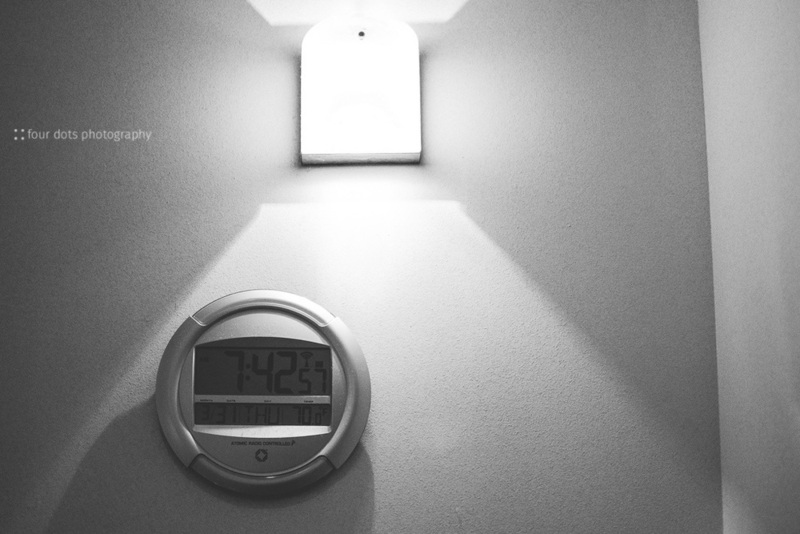 i held my breath while they checked her, and felt her discouragement and frustration at 4 o'clock that morning when they told her she was only 3 centimeters, even after laboring all through the night. and i reminded her that she had nothing to prove (except maybe that even wonder woman needs to sleep from time to time) when she decided to get an epidural. 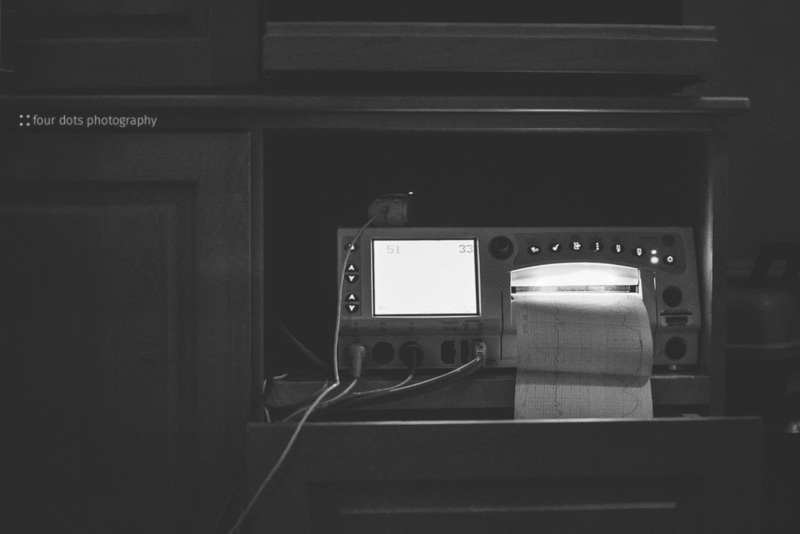 after the epidural was in, they repositioned the monitors to make sure baby was doing well, and finally everyone was able to get some much needed rest in anticipation of baby's arrival. a little while later, meredith's mom arrived, another source of strength and encouragement for the laboring momma and another heart to welcome this new little soul as she slowly made her way into our world. shortly after nana came on the scene, meredith started to feel pressure despite her epidural, and it didn't take dad or nana long to notice that every time she felt the pressure, the monitor showed she was contracting. so, a nurse was called, momma was checked, and preparations were made- after months of waiting and praying, this baby girl was finally ready to make her entrance. now, my only experience with labor and delivery is the births of my own two boys, and while they had blessedly smooth and uneventful labors, i'm not necessarily the most graceful of women while laboring, especially while pushing. and since that was all that i knew to expect, it made the next part of this birth story even more entrancing. meredith had finally gotten some rest, so she had the energy to push. the epidural was still in, so she was able to be fully present, aware of every moment approaching her daughter's birth without being distracted by the pain (although i believe she was still able to feel some of it, even though she didn't show it!). the entire room was completely quiet and serene, and it was so incredibly amazing. 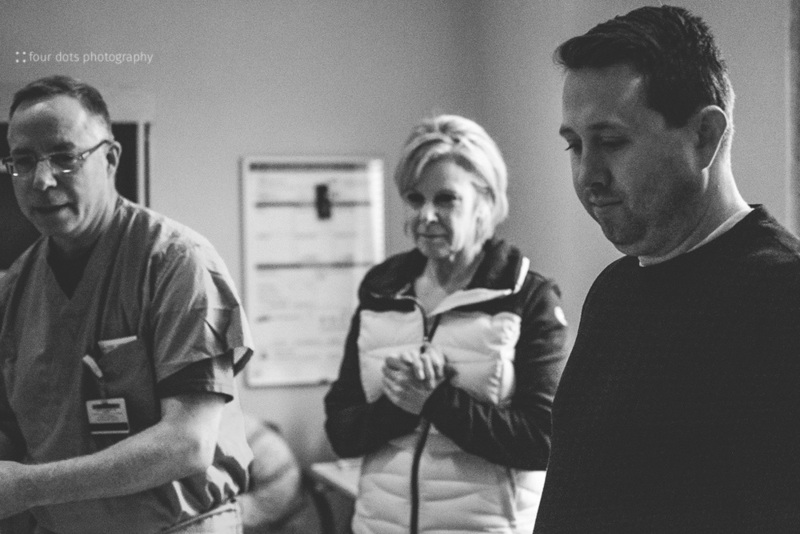 her mom was on one side, her husband on the other, a doctor, a nurse, and me, all peacefully watching and waiting as this incredible momma summoned all her strength to meet her baby girl. and then, just like that she was here- pink, perfect, and already more loved than she could ever know. 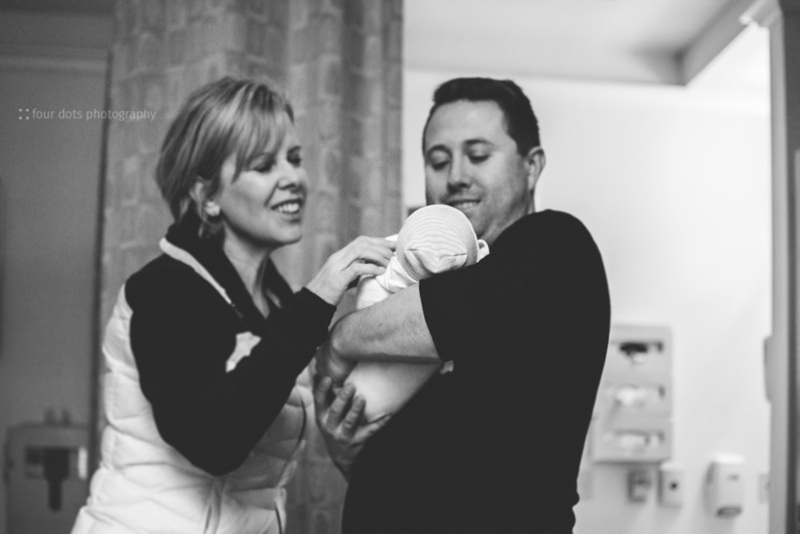 not long after her arrival, the formalities of new life started- vital signs were checked, feet were printed, family was notified- but the air of hushed magic, of love and blessings and promises fulfilled still hung around the room and filled us up. and even through all the awe and wonder, i noticed that despite my reputation, i had yet to cry along with new mom and sweet baby. i was so compelled to continue documenting the scenes in front of me that i didn't take more than a moment to feel surprised at myself before my thoughts turned back to my camera and the scenes unfolding in front of me. the rest of the morning was, if possible, even more amazing. this woman i call my best friend is such an incredible, natural momma, and being there to witness her be a mother to her baby in the first few hours of life was nothing short of inspirational. she calmly helped her daughter learn to nurse for the first time. she swaddled her and shushed her, comforted and loved her through her own exhaustion and discomfort. you could see the love spilling out of her as her son climbed into her lap to hug his momma and then meet his little sister. 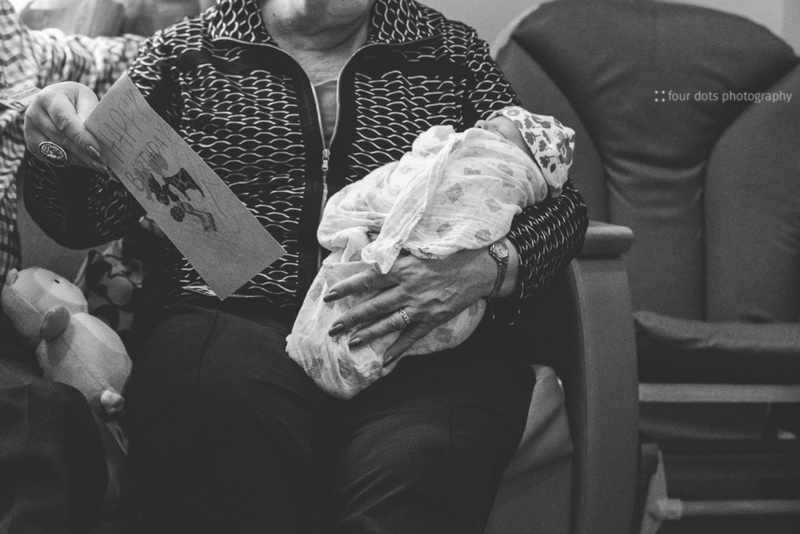 you could feel the strength she drew from her husband and her own mother as she tenderly cared for her new little one, and you could watch her heart and soul swell as she drank in every detail of this precious gift she has waited so long to receive. and as i watched, i was flooded with thankfulness for this woman who calls me her friend, who welcomed me into this sacred moment in her family's life so that i could treasure it with them. all the memories i have of my own two children being born, of my boys meeting me, their father, and each other for the first time, of the love that was showered on them by family, it all came rushing back to me in the hours that i spent in the hospital room that day. but still, i did not cry. before i had a chance to really notice, we had found our way into the afternoon. big brother was getting ready to head back to his grandparents' house, grandparents were getting ready to head home, an hours old lillian had fallen back to sleep after making her rounds, and my job for the day was complete. i packed up, i hugged and congratulated and thanked, i kissed that sweet baby one last time, and i was gone. i climbed in my car and used my phone to find the nearest place to grab something caffeinated to get me home. and then the flood gates opened. all the tears i thought i'd cry, all the emotions i'd held back without knowing it descended on me at once as i sat there in my little red car in the hospital parking lot, and they only stopped long enough to order a large coffee from mcdonalds. and then they came back, fast and strong, until i pulled in my own driveway, back home with my own little family. i cried with joy that my friends' fervent prayers were answered. i cried with thankfulness for their friendship, and for witnessing the most amazing thing there is to witness. i cried with exhaustion and memories and anticipation of the days to come and i cried because our God is so very, very good. i cried because there is one more beautiful soul to love in this world- and that is worth crying tears of joy, every time.